GUARDIOLA QUOTE A MESSAGE TO ROMAN ABRAMOVICH? 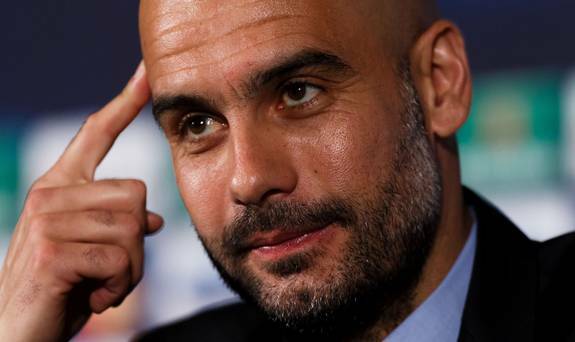 Having apologised for putting pressure on current Managers in England after revealing he is coming here to work from next season, Pep Guardiola has given a quotation that will be music to the ears of Roman Abramovich. Firstly, what on earth did Pep Guardiola think he was doing when he announced that he will be leaving Bayern Munich to manage in England from next season at THIS stage? Of course the press and Blogs like this one will move into overdrive to speculate about where he will end up. Of course what he said will have put pressure on managers at City and Manchester United (Chelsea only have Hiddink until the summer anyway). He knew exactly what he was doing! 'I am sorry. Normally, in my career as a trainer, as a player, I respect a lot my colleagues, so I am sorry. It wasn't my intention. 'I would rather be remembered for the football my teams play than for the trophies I won. In the end, titles are nothing but numbers and numbers are boring. Interesting don't you think? We all know that Roman Abramovich wants to see his Chelsea play with style and grace. We know he has tried to lure Pep Guardiola to Stamford Bridge in the past but I wonder if now is different. You would have to imagine that the City and United owners will be interested in Trophies now more than ever but I wonder if Chelsea would give Guardiola time to come in, work with the younger players in addition to the existing talent we have here; to develop a brand of football that the owner would ideally like to have? Titles are nothing but numbers and numbers are boring? Really?